Your Sewage Lines are one part of your home that you don’t want to have problems with. When you have a problem with your sewage, you’ll quickly notice problems with your drains, your toilets, and any other plumbing fixtures. The back-ups and build-ups will work their way from your sewage into the rest of your plumbing, and that’s not a problem that anyone enjoys dealing with. 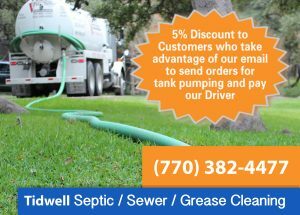 Our Tidwell Plumbing Professionals can make sure that your sewer lines are free of any blockage or other problems that can lead to serious malfunctions. Whether tree roots have grown through your sewer lines, your sewer lines have been broken, or there are any problems causing clogs or lack of flow, we’ll be ready to find and solve the problem. Traditional methods of sewer line repairs can be very disruptive to your landscape, displacing parts of your yard or garden, and often destroying parts of your hardscaping. They may even force you to dig up parts of your driveway or garage. But when you need in-depth sewer line repairs, our trenchless sewer repair methods can keep you from needing to dig out your sewer line in order to fix it. Many homeowners aren’t aware of “no dig” technology, but we’ll make sure you are before we do any repairs to your sewer line.